"It's not gonna help anybody unless we work from the inside out." PITTSBURGH SOUND feat. PALERMO STONE, BEEDIE, AF ROME, MARS JACKSON, MORE. 7 p.m. Sat., Feb. 1.
hosted by JASIRI X, with performance by PALERMO STONE. 7 p.m. Thu., Feb. 6. Pittsburgh hip hop finds itself at a crossroads in 2014. In the early 2010s, everything was on the up-and-up: Local rappers had made inroads nationally, and Wiz Khalifa and Mac Miller became the city's biggest hip-hop exports ever. For a time, it felt like the rising tide brought about by the Rostrum Records and Taylor Gang success stories was going to lift a lot of local MCs' boats. Then ... not much happened. "If you dropped a CD in 2010, you'd get a lot of views" as a Pittsburgh artist, recalls Palermo Stone, who worked as Mac Miller's hype man before going solo in 2009. "Then it started to go downhill; it became less about Pittsburgh and more about the individual artists. It took its toll on the Pittsburgh scene as a whole." To Stone, the takeaway lesson isn't that Pittsburgh's moment in the spotlight is over; it's that a thriving music scene takes more than just a few shooting stars. That's the philosophy behind R.A.R.E. Nation, the management and promotion team and artist collective Stone founded with Rami Bensasi and Jonathan Mehalic. "It's not gonna help anybody unless we work from the inside out," Stone says, referring to the national attention brought on by Wiz and Mac. "Like the Harlem Renaissance — it was just about writing and poetry. They just wanted to be heard, and they revolutionized the game. They made a pact to not give up until they were heard. It happened there, Atlanta, L.A., in Chicago now — that's the model for a city's success." Part of that model: In addition to promoting artists like Stone himself, JKJ and Ads Antalik, R.A.R.E. participates in outreach programs, the most high-profile of which is the Pittsburgh Hip-Hop Arts Collaborative, a new partnership with rapper and activist Jasiri X and his 1Hood organization. The collective's first event, Thu., Feb. 6, brings hip-hop producer, artist and educator 9th Wonder to town for a live discussion with Jasiri X. It all started when Jasiri approached Stone about working together. "I was just watching them move from afar," says Jasiri. "It seems like every year I'm in Pittsburgh less and less, but I was watching them from afar. 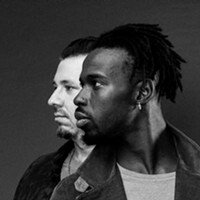 I saw the video [Stone] did with Dee-1; just reading about how he did his project — it seemed like a level of maturity I hadn't seen from a lot of other artists." 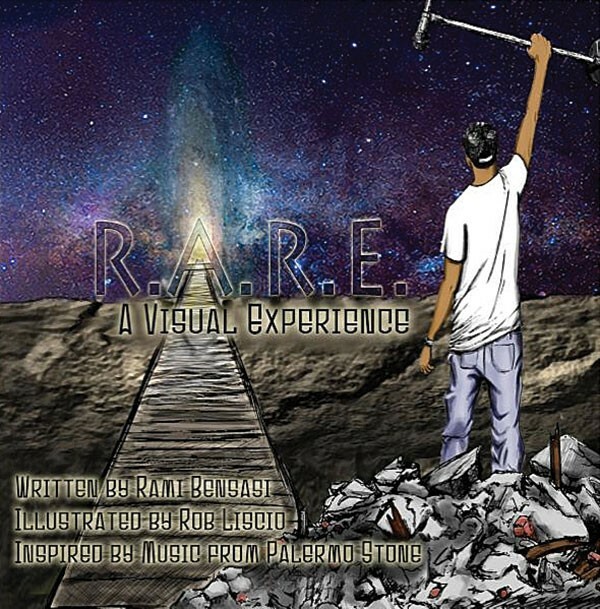 The collaborative effort between 1Hood and R.A.R.E. Nation received grant money from Advancing Black Arts in Pittsburgh, a joint project of the Pittsburgh Foundation and the Heinz Endowments. The ultimate plan includes various types of programming, but the 9th Wonder talk is the kickoff. "This is a different event from what Pittsburgh is used to," says Stone. "Everything is usually so music-based; this is less music-based and more educational. What we're trying to do is shift the culture; even the Jay Z show [on Jan. 21 was] not sold out. That's kind of ridiculous to think about. Every time he comes it's half-full. We're on a downward shift, and we want to flip the tables on that." In the planning stages now is a summer hip-hop festival that the group hopes will be a big draw. "You see these cities that have destination hip-hop festivals, like [Philadelphia's] Roots Picnic," explains Jasiri. "We wanted to create something like that that would happen every year in Pittsburgh. It'll be a diverse audience, it'll be fun, it'll be dope, it'll feature local artists, hopefully national artists. "I live in East Liberty, right off of Penn," he adds. "I just recently found out it was a first Friday [Unblurred art crawl], so I went down the street to Garfield. I saw people all over, but I saw very few people of color. One thing that Pittsburgh does really well is support artists. We wanted to create something where you could see people of color who create art, whether it's painting or fashion, the whole nine." "The plan is to have it over two days," says R.A.R.E. cofounder Bensasi. "The first day will focus on art and hip-hop culture — photography, painting, that kind of stuff. Then the second day will be performances. Basically a block party is the idea." "The idea is to do something different, something special for the people of Pittsburgh, because they need it more than they think they do," says Stone. "We're so Pittsburgh-proud here that sometimes we don't realize we need other influences." "Everyone's a rapper," says Bensasi. "And most of what's put in front of you is subpar, or the message is bad. Nothing is there to last — it's all for self-gain and not for a purpose. Call me an idealist, but I believe hip hop has always been about change. It's always been confrontational, controversial, but in a positive way — to speak on things that need to be spoken on. I think in Pittsburgh a lot of people have lost sight of that." That's what R.A.R.E. Nation has been about since the beginning. 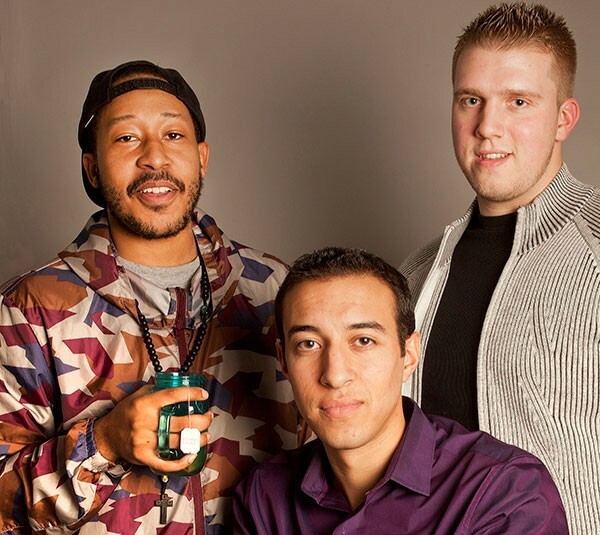 Stone and Bensasi, who went to Woodland Hills schools together and are now in their mid-20s, founded the group in 2012 to help create an infrastructure for hip hop and art in Pittsburgh, and to give back to the community. 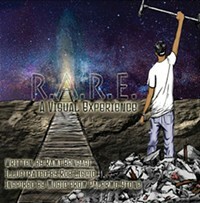 In late 2012, Stone released his R.A.R.E. album, which was issued in conjunction with a book of art, some by Woodland Hills students and alumni. That desire to do more than just make music is one thing that distinguishes R.A.R.E. ; another is the group's communications and business acumen. As a promotional company, R.A.R.E. 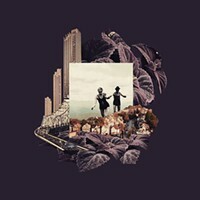 has forged relationships with several local booking groups, and serves as an intermediary for its up-and-coming artists. That's something that struck Jasiri early in their working relationship. "When you initially bring someone in — I didn't know Palermo at all," Jasiri says. "It's just been really cool to work with him and R.A.R.E. Nation because they just know the business. I think they're going to be successful — I don't even think it's a question. Not only is the music good, but they know how to handle the business." That mix might make R.A.R.E. Nation'a big part of a formula that helps put Pittsburgh hip hop on stable ground. "If you're around me, I push," adds Jasiri. "I would say they push equally hard; they're equally go-getting. It's been refreshing."